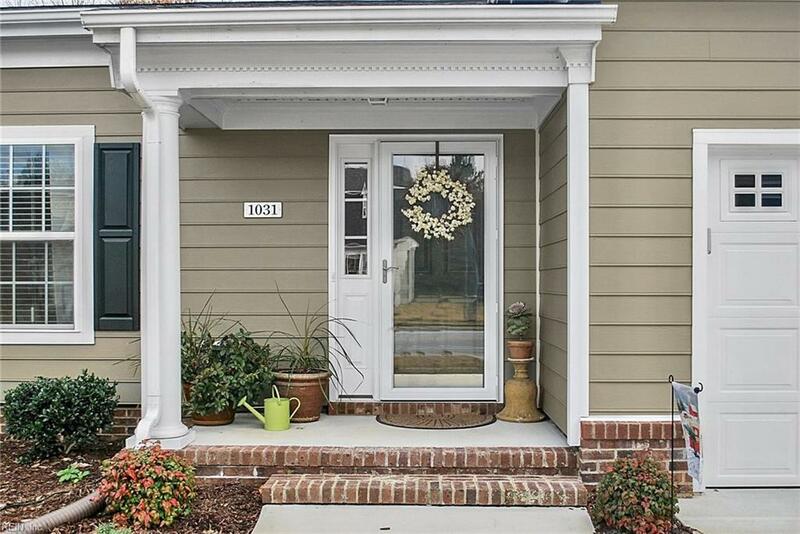 1031 Boundary Dr, Suffolk, VA 23434 (#10230739) :: Abbitt Realty Co.
Why wait for new construction? 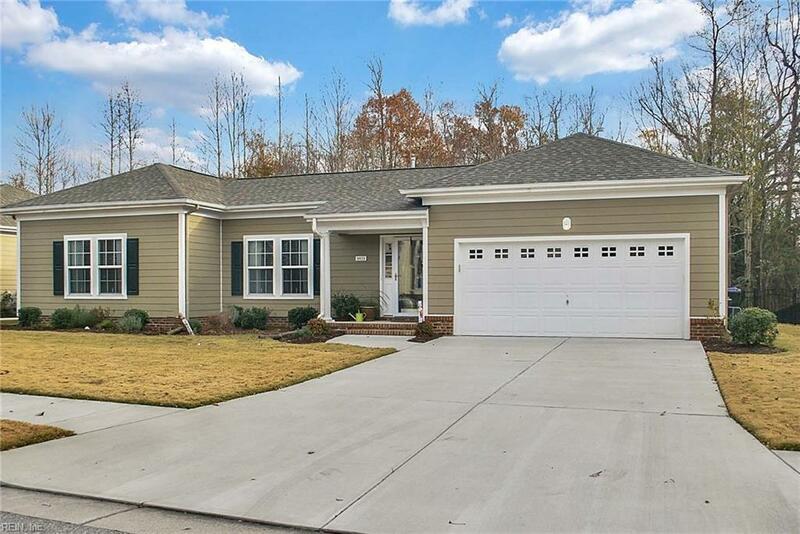 Better than new with both builder and seller upgrades to include tile flooring in kitchen and baths. Beautiful wood flooring in the living areas. Bedrooms are carpeted. Kitchen is large and open to the living areas and any woman's dream with a huge island, granite countertops, classic white subway tile backsplash, upgraded pendant lighting & stainless appliance package. Gas range & oven also has an electrical connection. Upgraded ceiling fans and lighting. Master bath with an oversized shower and dual sink vanity. 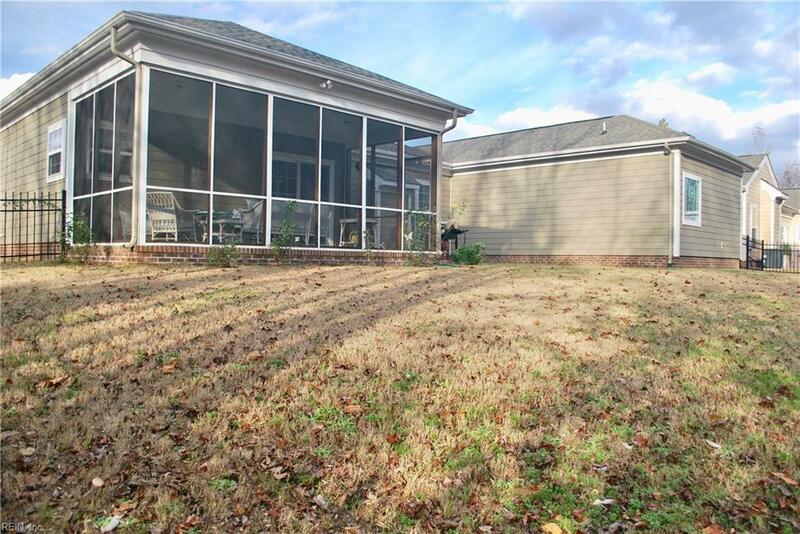 Enjoy your beverage of choice after dinner on the huge screened patio and take in the serenity of the wooded area. Backyard fenced with a decorative metal fencing. 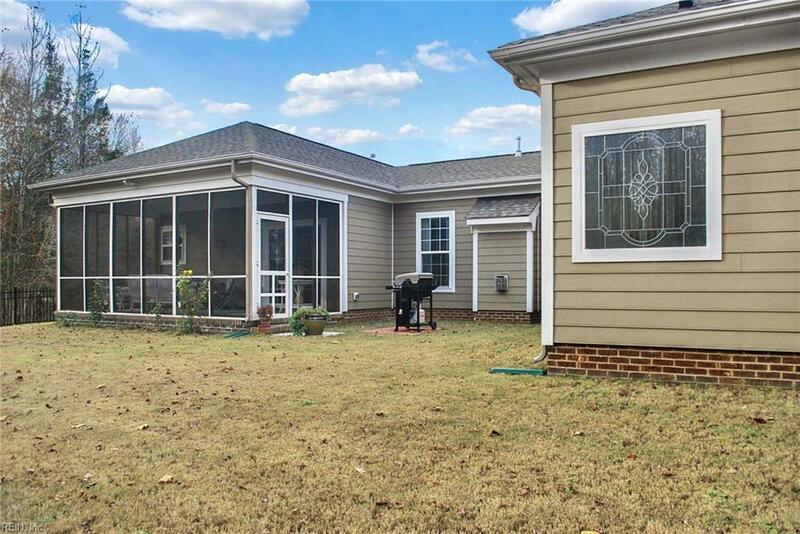 The Association maintains front and side yards. 2 car garage with large driveway for off street parking. Siding is cement fibre board that provides insulation and superior strength compared to vinyl. Community pools, clubhouse, playgrounds and sweeping open areas complete the package.